Hello. Today I wanted to share a great experience I had several weeks ago at the Coterie Theater in Kansas City. 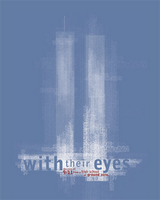 The Coterie is currently doing a production of "with their eyes" - an account of 9/11 from the student, faculty and staff at Stuyvesant High School located just blocks away from the World Trade Center. Annie Thoms edited the interviews and personal stories of the people who were there that day. The Coterie had a teacher preview night on September 11th and I attended with my wife. I brought my portable MP3 player and collected some of the production along with some interviews from actors and one of the directors. If you live in the Kansas City are I would encourage you to attend a production - the dates are from September 26th until October 22. Check out the link below for times and ticket information. If you can't make it to the show you can also check out the book - link also provided below. 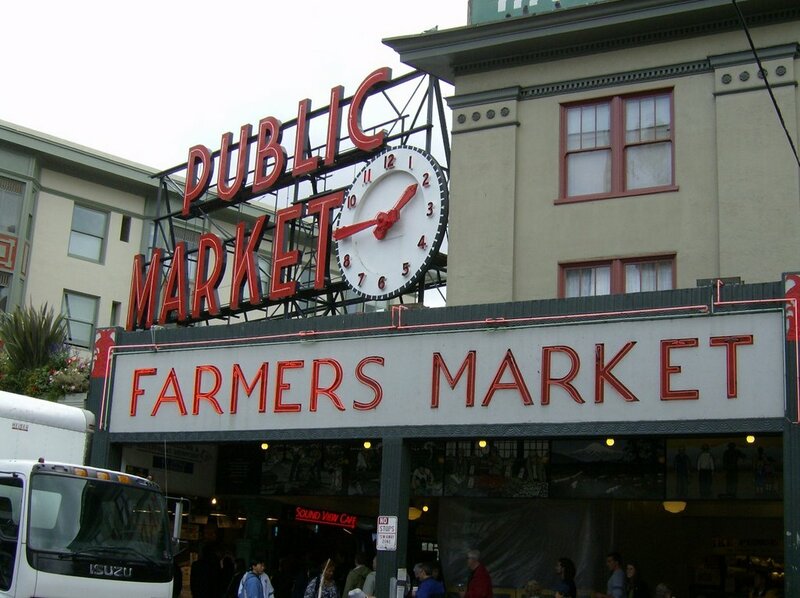 During my experience at the Microsoft Innovative Teachers Forum in Redmond, Washington last week we were divided into groups and sent out to explore part of Seattle. My group was selected to visit Pike Street Market. It was an amazing trip. Our group was given digital cameras and digital voice recorders to capture the history, culture and atmosphere of the market. The theme for the day was "conflict" and how the area we were exploring overcame challenges that had created conflict. 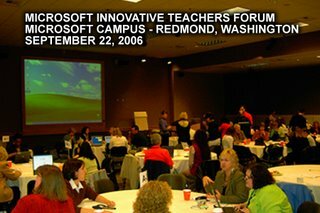 Once our group returned to the Microsoft Corporate Campus we had about an hour to create a 10 minute presentation for the rest of the teachers present at the forum. We decided to use PhotoStory 3 to incorporate our photos and some of the audio we recorded at the market. Hello. 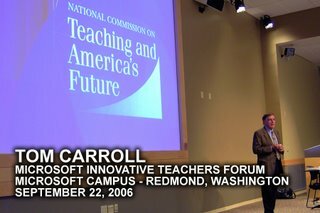 Today's podcast is a recording of a great keynote given by Tom Carroll at the closing of the 2006 Microsoft Innovative Teachers Forum on September 22, 2006 on the corporate campus of Microsoft in Redmond, Washington. Tom works with the National Commission on Teaching and America's Future. It was a great ending to a wonderful two days of learning and sharing with over 70 teachers selected to attend the forum representing 17 states. The focus of the forum this year was collaboration and I was selected to attend the forum with my fellow 8th grade history teacher at South Valley Jr High - Erin Garvey. The keynote from Tom Carroll is a great overview of what we need to do today to help make our schools more effective and retain the great teachers we are investing so much time in today. The stats that Tom states about the teaching profession today will open to yours to the job we have before us. He also makes some very interesting comparisons with the school of 1950 compared to the culture today. After listening to the podcast I would encourage everyone to check out the web site for the National Commission on Teaching and America's Future. I have included a link to a PDF of Tom's PowerPoint presention for the keynote. It is helpful as he makes reference to several images and some graphs at the end of this keynote. View the presentation PowerPoint as a PDF here. Great stuff. Hello from Seattle. I'm here in for the 2006 United States Microsoft Innovative Teacher Forum. We had an incredible day connecting with other teachers from around the country and exploring parts of the Seattle area as learning teams. Erin Garvey and myself were selected as one of 27 learning teams that respresent 17 different states. We weren't really sure what to expect today when we gathered at the Microsoft Conference Center on the corporate campus. We knew they would give us some sort of task but nothing more. We soon learned that this forum would not consist of sitting in a room and listening to speakers. We were introduced the Microsoft Partners in Learning program and the Expeditionary Learning concept from John Bransford. Each group set out for a different part of Seattle to explore. 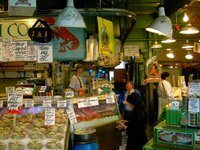 My group was sent to explore the Pike Street Market - it clicked for me when they said we were going to the place where the guys throw fish. Each group was given some guidelines to investigate - culture, how the area has adapted to change over time and connections between community. We had a digital voice recorder and digital camera. 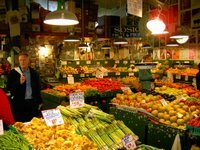 We took a tour of the Pike Market that explained the history but also the social services provided and the workings of the market itself. It was incredible. I would strongly urge all visitors to take a tour of the market with a guide. We returned to the Microsoft campus to work on a group presentation that could last no longer than 10 minutes. We told our story of the market using PhotoStory 3 incorporating the digital pictures and audio from the digital recorder. I finished doing some final touches on the presentation tonight in the hotel room and am looking forward to a great day of sharing tomorrow on the final day of the forum. Hello. Since we are just starting a new school year I thought I would explain what I use in the form of online assessment so that anyone interested could try it out in their classroom as well. 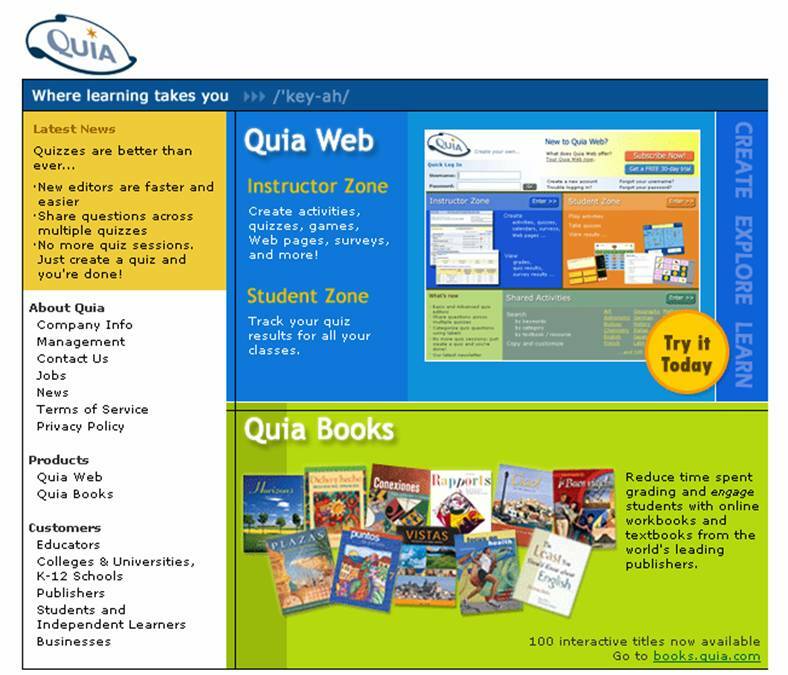 I application I use is Quia. I have used it for about 5 years and am very pleased with the service and the continued addition of new tools and options. In this podcast I discuss how I use it to assess existing knowledge before we start a unit and how I use if for my unit tests. A year subscription costs $49 or you can try it out for 30 days for free. It is a great tool that is well worth the investment. Check it out.